One of the funniest movies I’ve ever seen, Jim Carrey’s eccentric portrayal of Ace Ventura is perfect. 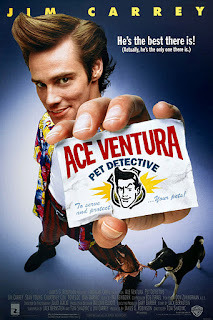 Throughout the movie you are humored by Ace Ventura’s ‘out of the ordinary’ behavior, it’s really funny. Ace Ventura (Jim Carrey’s) is an animal activist, he loves animals more than most humans. Chief publicist Melissa Robinson (Courteney Cox) heir’s Ace Ventura to find Snowflake a bottlenose dolphin mascot of the Miami Dolphins. Now all hell breaks loose when a missing dolphin case turns out to be more than what it seems. 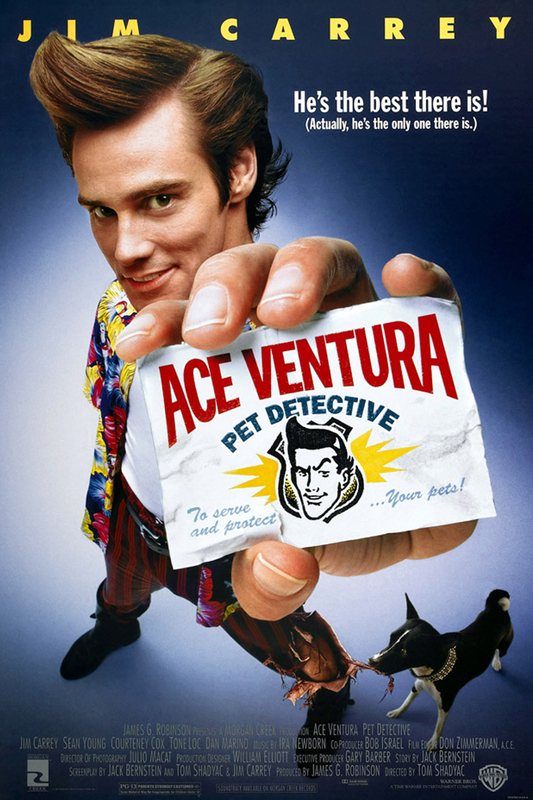 He’s no batman when it comes to being a detective but be gets the job done, he’s Ace Ventura pet detective… allrighty then. It’s one of those movies that have a bit of comedy in every scene, Ventura’s actions and the way he reacts to any situation is extremely funny. It’s the kind of movie that you can watch over and over again… Definitely one of Jim Carrey’s best. If you want a good laugh, watch this movie and stare in awe at the marvel that is Ace Ventura. Did you like my review?